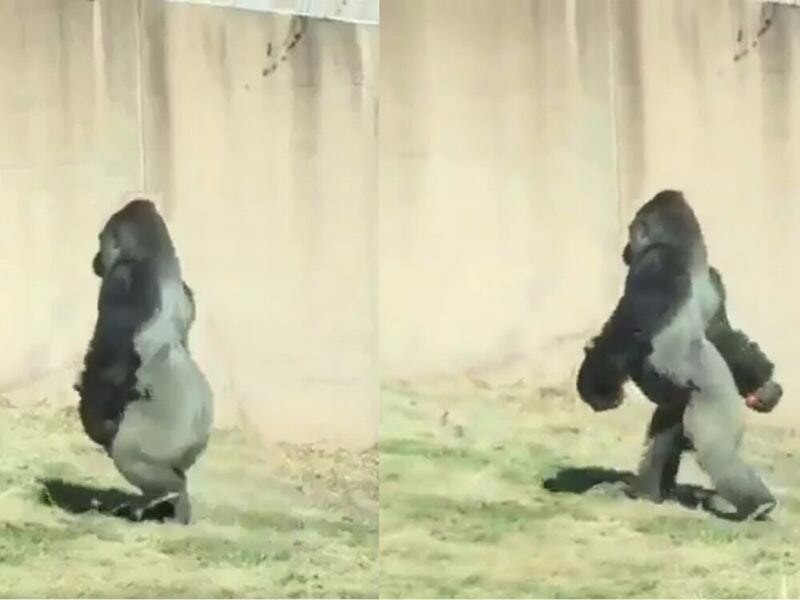 This gorilla at Philadelphia Zoo is so keen to keep his hands clean, he walks on two legs to avoid getting his food dirty. Louis is 18 years old, and when he’s got snacks in his hands such as tomatoes, he avoids putting his hands on the floor by walking upright like a human. Louis, who weighs around 500 pounds, is so keen to avoid any dirty areas that workers apparently had to install a fire hose over a mud puddle in the yard which he uses to avoid getting dirty. Michael Stern, curator of primates and small mammals, says it’s “pretty unusual” for gorillas to walk around upright. However, in the wild, Western lowland gorillas like Louis might do it for a few seconds to reach food or wade into swamps.